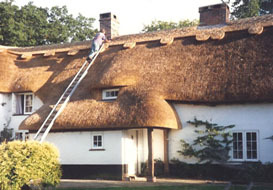 Bob Armstrong, a master craftsman has been thatching now for 50 years. He was trained by his father and undertook a full 5-year apprenticeship during which they worked both for various local estates, i.e. 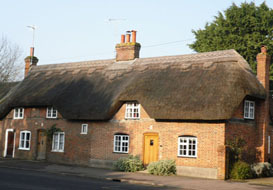 Longford, Cranborne, Kingston Lacy and Broadlands, as well as many private customers. 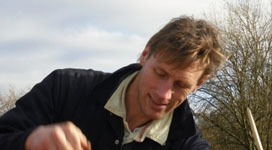 The father and son team developed a very high standard of workmanship and have always used only the best materials. Later in life Bob took on an apprentice, Ian Shelley in 1983. 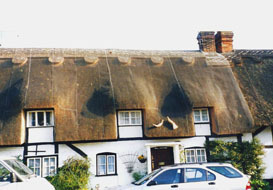 Ian attended the thatching college at Knuston Hall which was then run by the Council for Small Industries in Rural Areas (COSIRA) where he passed the City and Guilds Certificate in Thatching. 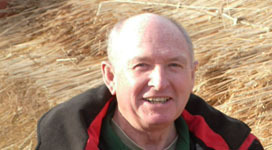 He then started work on his own for several years in the Warminster area before rejoining Bob more recently. Together they carry out quality workmanship with full public liability insurance.